Just like Cleopatra, this natural bubbling Milk Bath lets you reap real milk's soothing, moisturizing benefits, transforming your bath into foaming white waters. 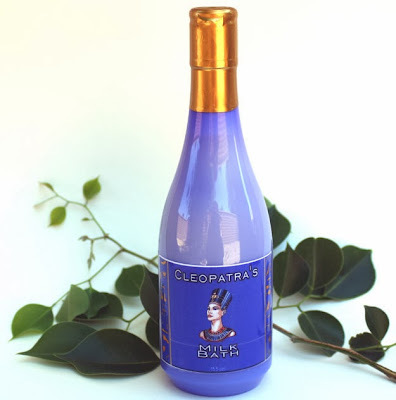 Cleopatra’s Milk Bath offers your skin a wonderful blend of real milk along with skin softening properties of nourishing oils. This bath soak is made with 100% pure and natural essential oils for its therapeutic properties. Lactic acid in the milk is gently cleansing and helps remove dead skin cells. Milk contains whey and casein proteins fat, amino acids, and vitamins A and D, which are beneficial for all skin types.